The feud between the Saudi-led block and Qatar escalated over the weekend, with Doha protesting to the UN over restrictions on its citizens flying to Mecca, and Riyadh threatening “war” over what it considers calls to “internationalize the holy sites” in Mecca and Medina. “Qatar’s request to internationalize the holy sites is an aggressive act and a declaration of war against the kingdom,” al-Jubeir told the Al Arabiya channel, adding, that Saudi Arabia “reserve the right to respond to any party” promoting such demands. It was not immediately clear when such a move was suggested, as Doha has yet to publicly call for Islam’s two holiest sites to be placed under international oversight. Al-Arabiya reported that Qatari media floated the idea after Saudi Arabia enforced new rules for Qataris travelling to Mecca in view of the air blockade on Doha. 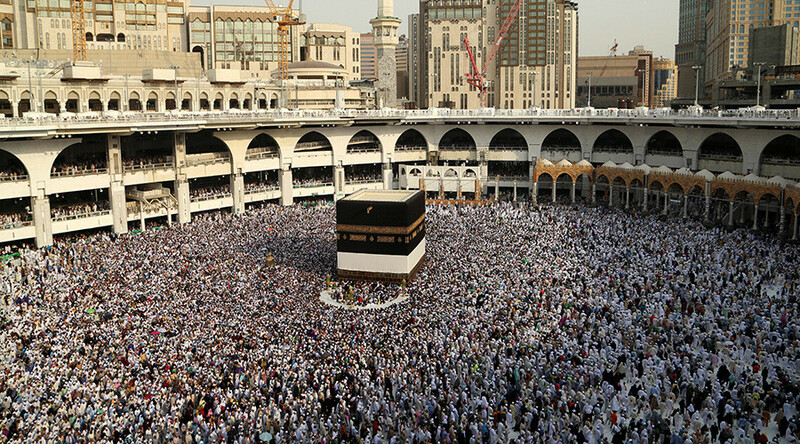 Qatar’s human rights commission also protested that Saudi Arabia has made it extremely difficult for many Qataris to reach Mecca by stipulating that they can only land at two Saudi airports – King Abdul Aziz International Airport in Jeddah and Prince Mohammed bin Abdul Aziz Airport in Medina.